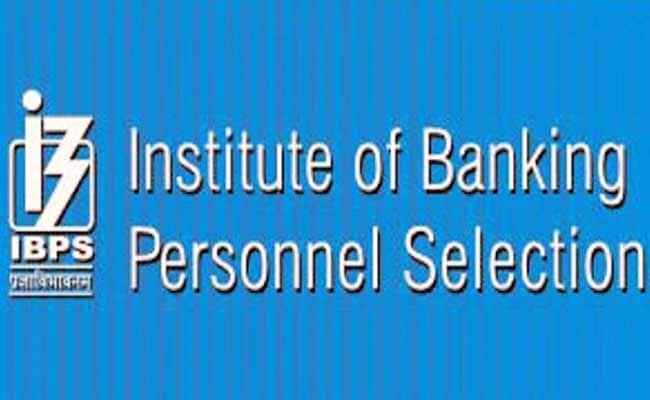 The online application process for Institute of Banking Personnel Selection (IBPS) Common Written Exam (CWE) for recruitment of Clerk has begun today. The registration will continue till October 3, 2017. New Delhi: The online application process for Institute of Banking Personnel Selection (IBPS) Common Written Exam (CWE) for recruitment of Clerk has begun today. The registration will continue till October 3, 2017. The options to edit or make any changes in the application form will be available only till October 3. A total of 19 public sector banks are participating in this year's recruitment drive to fill more than 7000 vacancies. Candidates who successfully apply will have to appear in a preliminary exam and those who qualify the preliminary round will have to appear in Main examination. The registration process has begun and applicants willing to register for the exam can do so by visiting the official IBPS website. How to apply for IBPS CWE Clerk VII? Step one: Go to IBPS official website. Step two: Click on the CWE Clerk VII Registration link. Step three: Register by providing your email id, phone number and date of birth. Step four: Registration number and password would be sent on the registered email and phone number. Login using your registration number and password and complete the application process. The application fee for SC, ST, PWD and Ex-Servicemen is Rs. 100 and for general category candidate is Rs. 600. Application fee could be paid online only till October 3.